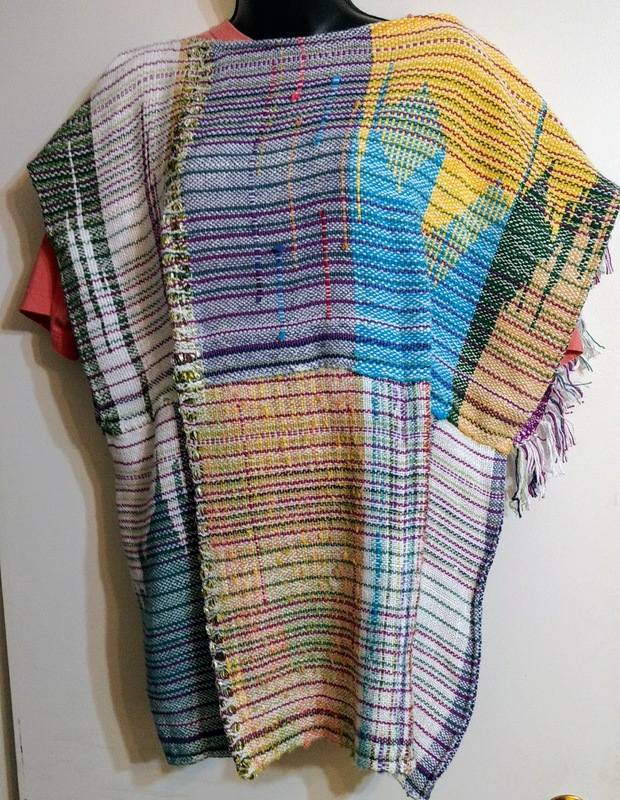 The starting point was a pattern in a book for making clothing from handwoven fabrics. I messed up the pattern because I didn't quite comprehend the fabric requirements. I needed not one but two of the pieces for the top section and I had only one. So I improvised. So I dropped back and changed it completely. It is a large size and was intended to be longer than it is. Originally it was a bit boxy, so I decided to add seams that are sort of like darts in the front. I think that makes it look a bit more feminine and tailored as it slims toward the waist. I also sewed pieces on two quilted works to make them hangable for the gallery show in April. There is at least one more garment that I wish to make for the show. Of course, I have a medical appointment today (Tuesday) and Mom has one on Wednesday. Perhaps I will manage to get it all done. Very nice, Gene. I was wondering what you were going to do with the woven pieces. I like the more tailored version, too. Good luck with your appointment...and your Mom, also. Best to you both at doc appts. 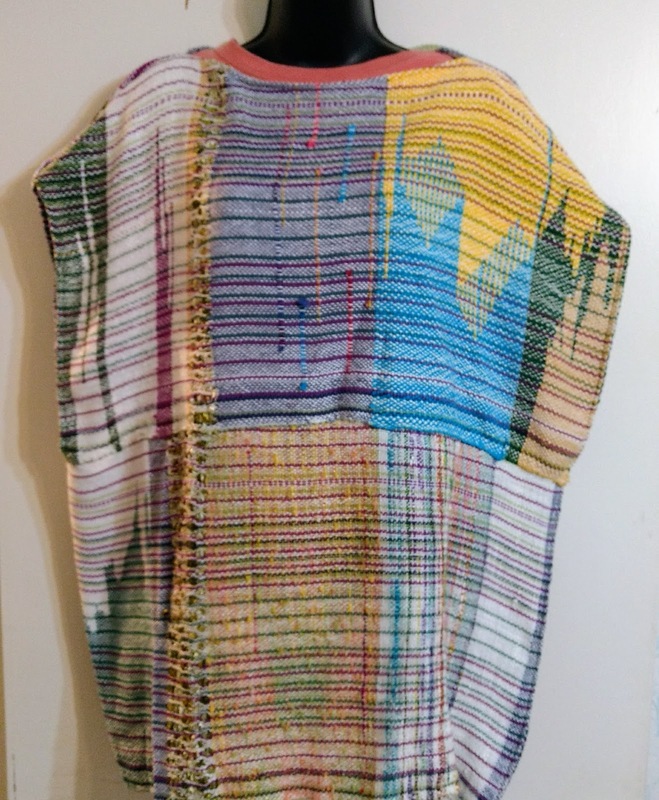 Love the top-your handwoven fabric just looks incredible. Very nice. 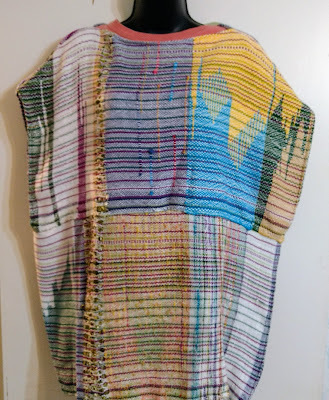 I'm a pretty "boxy" gal so unfortunately many of my handwoven garments look rather boxy on a hanger. I'm working on shaping not only the garments, but the bod too!